It seems that to free download videos from YouTube, Break, Dailymotion, Vimeo and a ton of other sites to play them offline is a trend. And every time when an online video download intention exists, the very first helper one may think is KeepVid, a popular online video downloader to get a fast downloads of online videos from a mass of video-sharing sites. However, KeepVid doesn't work equally well each time. On March 31, 2018, it shut down its download service. Therefore various programs/sites like KeepVid have sprung up to offer alternative solutions. MacX YouTube Downloader -100% clean and free online video download program can free download video and music from 1000+ video audio sharing sites like YouTube, Facebook, Dailymotion, Vimeo, Vevo etc in HD 720P, 1080P, 4K UHD, 2D, 3D Blu ray. Fast speed and high quality! The biggest problem is that the online site keepvid.com doesn't work on Mac OS X. For mac users who want to download online videos, they will be out of luck to get a black page or page without download button, on no matter Firefox, Safari or Google Chrome. Therefore, KeepVid is needed. Since KeepVid uses Java to fetch download links, in many cases, you have to switch to sites or programs due the problems caused by it. Java applet won't load error is annoying, but at least it means you have install it successfully. Many users stop at the first step: for example, KeepVid reminds you to install Java after you have downloaded it once again. Frustrating! Google Chrome browser users can't use it at all. KeepVid comes with quite a large number of advertisements which are quite confusing. Users can easily click on irrelevant advertisement pages. To get the ad-free video download experience, you'll need to pay for it. Currently, it supports up to 51 online sites, mainly consisting of some famous sites. In other words, it not working on other sites is also a reason to turn to an alternative to KeepVid. Sure there are various solutions to those errors, but instead of making do with KeepVid, many people are wondering if there is any suitable and easy-to-use free YouTube downloader for Mac which work equally well. So in the following list we have rounded up some of the best possible programs/websites like KeepVid. KeepVid has been shut down since March 21. There's no download option on its interface. Instead, a download tutorial is offered. Forums are now flooded with KeepVid not working/not downloading issues. It's difficult for KeepVid to come back. MacX YouTube Downloader. 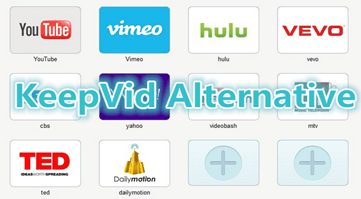 This 100% free KeepVid alternative that excels other similar downloaders and sites for various reasons. First, it seamlessly works on all the Mac OS X (macOS Sierra/El Capitan). Furthermore, it free downloads music, video, movies etc from over 300 video audio sharing sites, including YouTube, Facebook, Dailymotion, Vimeo, Vevo, Veoh, Instagram, Myspace, Myvideo, XNXX, Metacafe, etc with MP4, MKV, AVI, FLV, WebM, 3GP, etc. In HD 720P, 1080P, 4K/8K UHD, 2D, 3D Blu ray. Fast speed and no quality loss, with a single click! Other desktop alternatives: other video downloaders include 4K Video Downloader, Freemake Video Downloader, YTD Video Downloader for Mac, etc. Video Grabber. 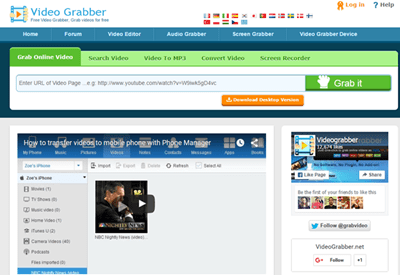 Video Grabber is one of the most common online websites like KeepVid to help users to grab videos from various online videos sites like YouTube, Vimeo, Break, Dailymotion etc. It also supports online video download in different resolutions like 360P, 480p, 640p and even HD 720p and 1080p. Users are allowed to free download online videos in MP4, 3GP, AVI, MOV, MKV, MP3, WMA etc. Within a few clicks, the site will automatically start download. But note that the supported sites are rather limited. Other websites like KeepVid: besides Video Grabber, there are many other sites similar to KeepVid work as a solution to KeepVid not working problem. So you may also try Zamzar, KeepTube, YouTube By Click, ClipConverter, Video Downloader X and more. SaveFrom.Net: SaveFrom.net Helper is a browser extension which is available for Firefox, Chrome, Opera, and Safari to help users free download SD and HD 720P videos music from YouTube, Facebook, Vimeo, Dailymotion and more than 40 other sites. Users can save the downloaded videos in 3GP, MP4, FLV, WebM. 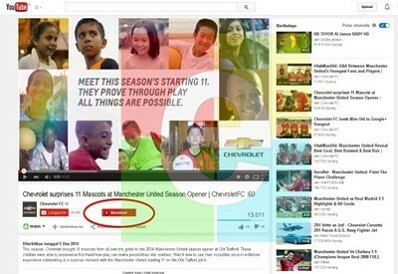 Though the limited supported sites is a problem of concern, this free YouTube downloader for Mac is convenient to use. Besides, a web version is also available. Other similar program extensions: other web browser helpers like KeepVid include FastestTube (Opera, Safari, Chrome, Firefox, IE), Video DownloadHelper for Firefox (Solution to Video Download Helper not Working issue), Easy YouTube Video Downloader (Firefox), YouTube5 (Safari), Video Download (Internet Explorer) etc. Free Video Downloader Plus Plus: Free Video Downloader Plus Plus is free downloader app for iOS to download free and legal streaming videos from a variety of video sites to your iPhone, iPod Touch and iPad! It allows you to download as many videos of unlimited size as you want, and videos can be played straight from within the app. It's a great alternative to KeepVid for those who want to enjoy videos offline on mobiles directly. Other mobile programs: various mobile apps are designed for iOS and Android usres to free download online videos and movies, including MovieBox for iOS (Fix Moviebox not working problem), PopcornTime for iPad iPhone iPod, TubeBox (iOS), TubeMate (Android), WonTube (Android) etc.